In this post, I am going to provide you the procedure to perform Candle Tratak meditation which will help you to achieve greater focus and inner peace. 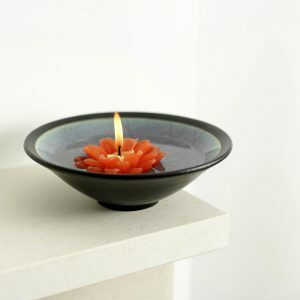 Candle Tratak (also known as Diya Tratak in Hindi) is the process where the practitioner meditates on the flame of a candle or oil lamp. I have discussed few other forms of Tratak methods earlier like Tratak on a Black Dot and Mirror Tratak, but gazing on the candle flame is much effective than the other two as it becomes easier to concentrate on bright light than the other objects, but this technique comparatively has more disadvantages. It is best to do this meditation in the early morning hours between 4 am and 6 am because quieting the mind is much easier at that time than the rest of the day. Please make sure that you don’t change your place and time for this practice frequently, try to stick to a regular schedule. Keep your stomach empty but make sure that you are not hungry. Tranquilize your mind first by taking a few deep breaths before you begin. You can use diya(oil lamp) or a candle, but adjust its position in a way that the flame burns straight in front of your eyes. Take few deep breaths with your eyes closed until you feel relaxed. Open your eyes and fix your gaze on the flame of the candle. Be aware of any thought that enters your mind while doing this. Do not fight with your thoughts nor get involved in it, just gently bring your attention back to the flame when that happens. Try not to blink your eyes. 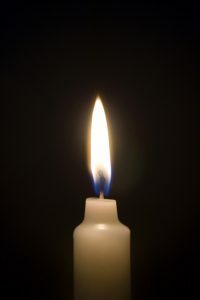 After some time (initially 5-10 minutes), close your eyes and focus on the image of the flame till it gets vanished. Increases the ability to concentrate and that’s why it is highly beneficial for students. Makes you more aware of your thoughts and allows you to maintain the present moment awareness more frequently than before. Helps to experience the inner peace and unconditional love. Enables you to listen to your inner voice/intuition. Makes you more confident and composed. Allows you to break the patterns of unconsciousness that were not serving you well. Splash cold water on your eyes and keep a wet cloth on your eyes for a while after doing this meditation in order to avoid any irritations or headaches. Do not practice Tratak if you have any eye related problem or if you wear spectacles. Stop doing Tratak if you start to experience any strong discomfort. This meditation is not suitable for children. Practice mindfulness exercises or vipassana meditation to get better at detaching yourself from your thoughts while meditating. I hope you enjoyed this post, you can get some more information on tratak meditation here and I would also like to recommend the book “Dharana Darshan” that contains a great deal of information on the external object concentration exercises based on ancient wisdom that can help you with your spiritual progress. I would love to hear from you so, please do write me in the box below. If you have something to add here, then you are most welcome.